The expected breakdown, which accelerated on the market bids for the purchase, made it possible to take some profits. It is noteworthy that the fundamental background also generally supports the yesterday's movement of the pair. The European Council is ready to postpone England’s withdrawal from March 29 to the second half of 2019 or even to 2020. This gives reason to believe that the EU is ready to discuss and negotiate with England. And it is certainly clear that these events are now for a long time. In the meantime, both GBPUSD and EURUSD may begin to move away from the seemingly past threat of a tough Brexit’s and gain in value. 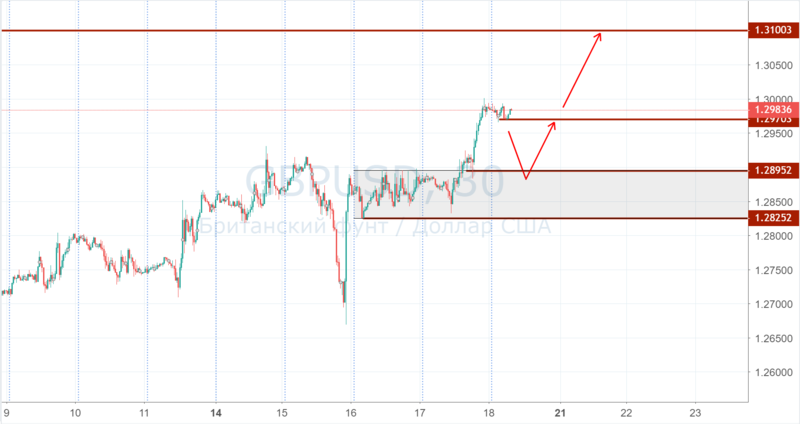 We expect to see a corrective decline in a large volume of 1.2895-1.2825, where you can search for entry points to buy with a target of 1.3100 or at least yesterday's maximum of 1.2970. Due to the current geopolitical uncertainty, we strongly recommend not to leave positions for the weekend or to monitor the possible news on the weekend and be ready for opening on Monday at different closing prices. According to yesterday's OPEC report, oil production in December fell by 751 thousand b / d due to Saudi Arabia and Iran. Recall that for Saudis, the price of Brent crude oil is needed at around $ 80 / b in order not to have to patch holes in the country's budget, which means that verbal statements about production cuts will follow, at a minimum. We also heard confirmation of intentions to reduce production from the Russian Ministry of Energy. What is also positive for oil. 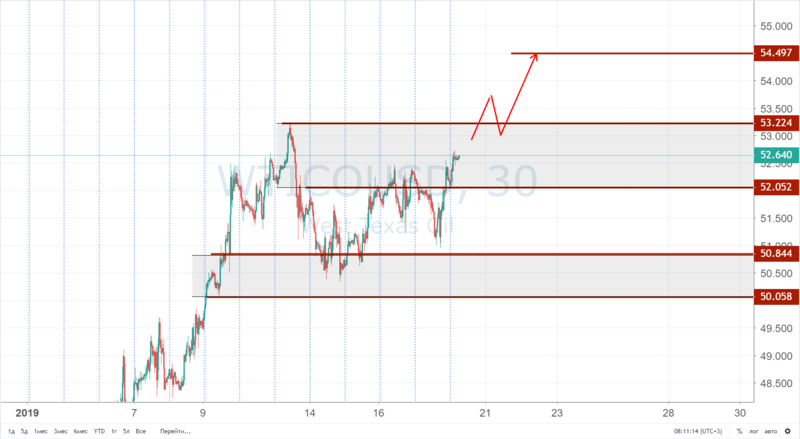 According to the technical picture, oil is trading in the range of 50.05-53.20 and see the development of an upward trend more preferable than a downward reversal. Therefore, we are waiting for the manifestation of buyers' initiative, a breakdown of 53.20 and after a corrective decline, we expect an increase to 54.50 and 55.00 in the future.